The default user interface for the Brent Watkinson app. Sixty seven images in all, plus access to his website, and his other endeavors such as MoonboyApps and Moonboybrand. 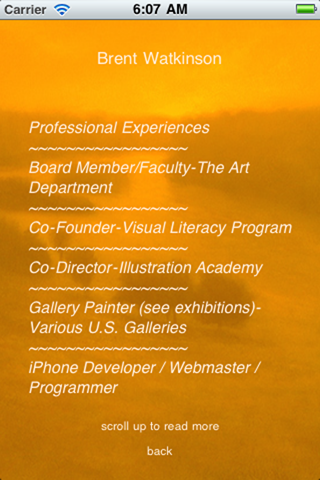 Listings of Work Experience, Honors, Exhibitions, Publications, and Clients. And since this is an ever shrinking world, and we communicate with others all around the globe, a Units Converter is included. Chatting online with friends from different countries? 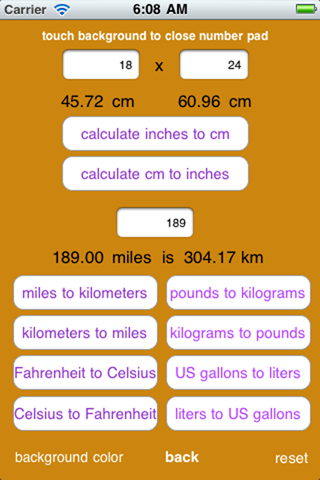 This handy "units converter" lets you instantly find the answers to your conversion questions. 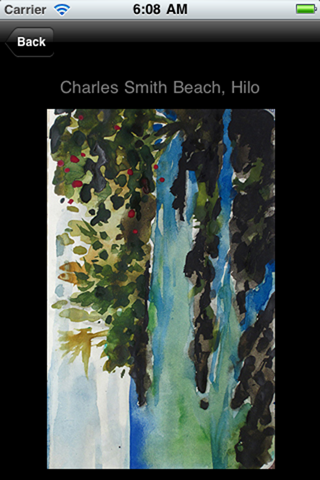 Ever wonder what your 18 x 24 inch painting would be in centimeters? This makes it easy to find out. It converts in either direction; inches to cm or the reverse. Learn a little about the rest of the world and communicate better! 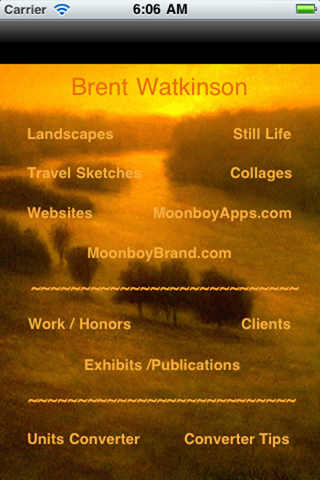 If you are experiencing problems with the Brent Watkinson app, try deleting it from your phone and re-installing. You can either sync your iPhone with your computer to reinstall the Brent Watkinson app, (if you have run a sync with your phone and your computer AFTER installing the Brent Watkinson app the first time), or download it again from iTunes. You won't need to pay again, as iTunes will remember you have previously installed it. Image from the "Landscape" category. 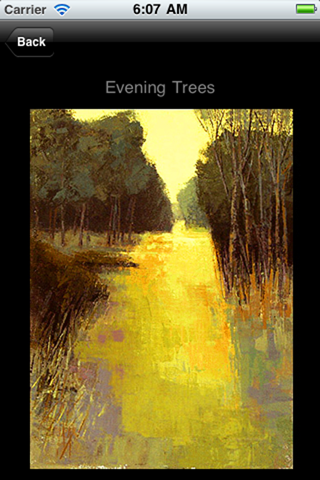 Image from the "Travel Sketches" category. The "Units Converter" interface. Be more informed about the world!